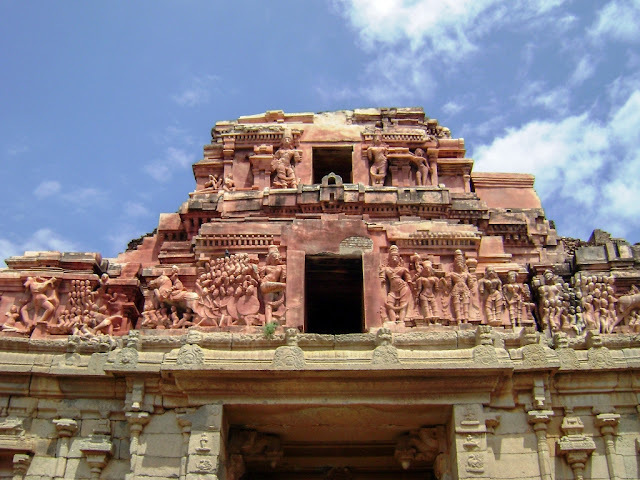 Bala Krishna temple in Hampi (the temple of infant Krishna) is located around 500 meters from the Hampi Bazaar. This temple was the center of the Krishnapura quarter of the sacred center. The grant gopura of the temple is in ruin, however it clearly coveys the royal splendor it had in the past. 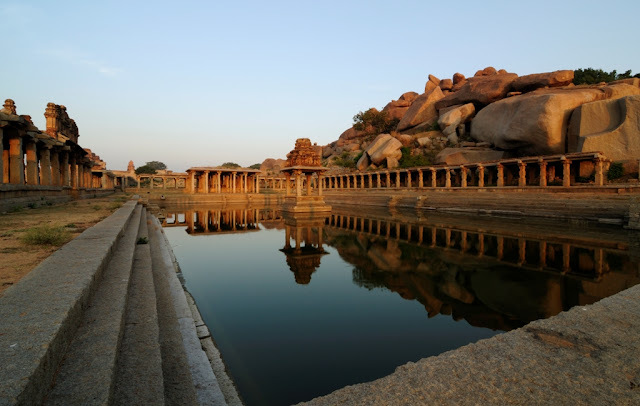 To celebrate his conquest of the Gajapati rulers of Odisha, Krishna Devarayar built this temple in Hampi during 1515 AD. Also there was another reason for building such a grandiose temple. 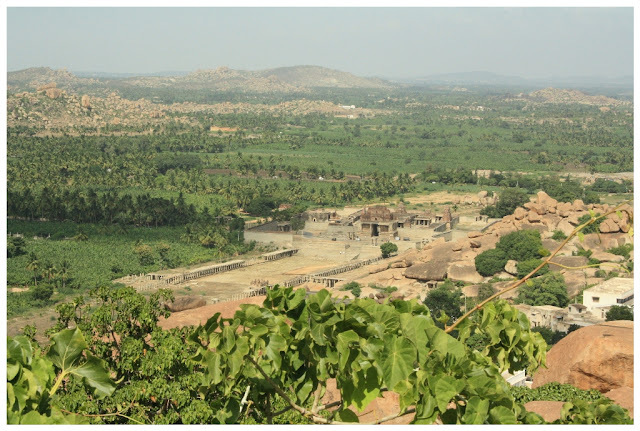 It was to accommodate the idol of infant Krishna that has been captured from the Udayagiri Fort (In present day Andhra) during the military campaign. 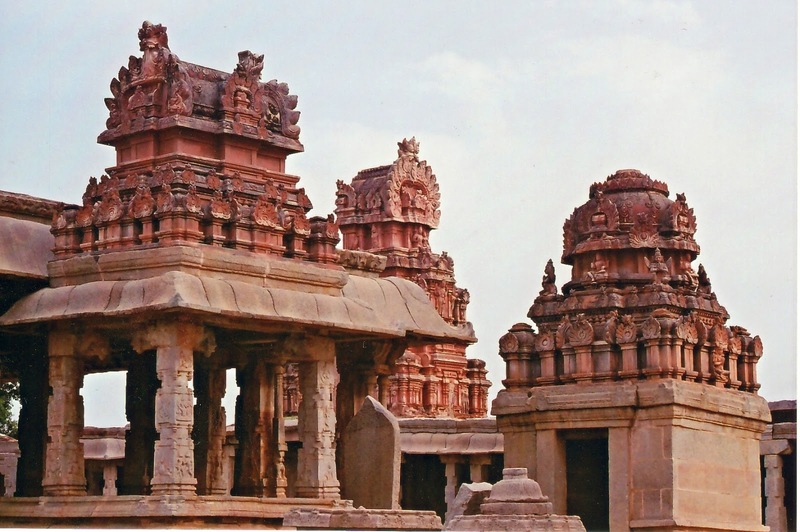 The entrance Gopura have raised porticos on either side of it, which still maintain its structure. On the parts of the Gopura that remains, we can sport many stucco works, some depicts the activities of Lord Krishna and some other shows the military proceedings – may be from the Odisha war. As we enter into the Krishna temple, we can see an inscribed stone slab, which is an ancient account about the Krishnadevaraya’s conquest of Odisha. Then we see two mantapa’s in front of the sanctum. One is a 25-bay mantapa and other is a 9 bay mantapa and behind that the sanctum is placed. The ancient idol of BalaKrishna is not present in the temple anymore; it is preserved in the Chennai state museum. The central sanctum is surrounded by a dark “Pradhikshna Patha” ( narrow passage around the sanctum to do ritual walks around the God). There are sub shrines in the outside courtyard, in which a double sanctuaried goddess temple to the north side of the main sanctum is especially noteworthy. The external courtyard is surrounded by colonnades on all sides except for the south. On the southside, there is a small tower leading to another enclosure, which houses a small structure with six domes. This structure is of no particular interest; however it has arches inside and steps leading to the top. This might have been used as a granary. As we exit from the Krishna temple, we enter into a wide street in front of it. The street is set at a lower level than the Krishna temple and some says that it was known as the “Pan-Supari” street. May be in the glorious times, the merchants would have traded the beetle nuts in this street, hence giving it’s the name “Pan-Supari” street. However, this ancient market street is now engulfed with banana plantations and sugar cane cultivation. At the north end of the street, a picturesque water tank – known as the Kalyani Pushkarani in the local language. The tank had a pillared cloister around it and in the middle there is a raised platform. What an amazing sense of beauty of the ancient Vijayanagara builders would have processed, as even the modest of structures like a water tank was designed with such aesthetics.